Tense and overworked muscles in and around your eyes can cause dizziness, headaches, and other unwanted symptoms. These tense eye muscles are working to compensate for eye misalignment and/or an inadequate prescription. The goal is to coordinate the functioning of your two eyes to allow for comfortable vision. Your new eyeglasses will have a prescription that will relax the muscles of your eyes so that your symptoms of dizziness and/or headache will be reduced, if not eliminated. For some patients, this first prescription will be the final ones. For some patients, however, this first prescription is just the beginning of the process. The eye muscles have been tense for so long that they may not relax completely with this first prescription. You may notice with time that your symptoms, which were initially relieved, are returning. When this occurs, you will need to return to the office for an adjustment of your prescription. This process of progressive relaxation with prescription adjustments may occur over a 2-6 month period of time, with the final result being reduction, if not elimination of the initial symptoms. It is important to monitor this condition with annual examinations. The Comprehensive Nuerovisual Examination and Evaluation beings by obtaining information about your general health and eye health, and by performing a thorough general eye examination and specialty vision examination. During the Comprehensive Neurovisual Examination, expect to spend 60-90 minutes with the doctor, and up to 2-3 hours in the office. 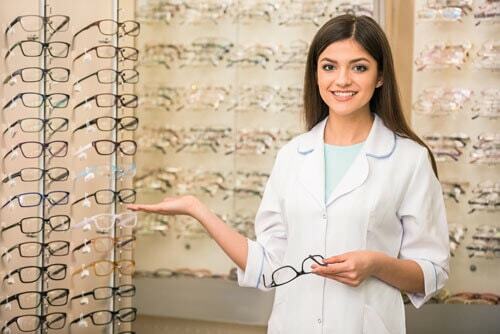 The extended time is devoted to reducing your symptoms by refining your complex eyeglass prescription. Following the initial office visit, Progress Assessment Visits are needed to further reduce your symptoms by making adjustments to your prescription. The first Progress Assesment Visit occurs approximately 2-4 weeks after the initial prescvription is dispensed. For some patients, the visual system requries a longer period of time to progressively relax, requiring subsequent Progress Assessment Visits and prescription adjustments. With each visit and prescription adjustment, there is a continued improvement in your symptoms. In order to assess your progress, you will be asked to complete specialized questionnaires prior to the Initial Office Visit, before each Progress Assessment Visit and at the end of treatment. The cost of an eyeglass prescription is based on several different factors: frame chosen, lenses prescribed, coatings selected, etc. Due to the complex nature of these prescriptions, refunds cannot be issused.